Find out which shampoo for long hair we recommend and discover all the great things it does to help you grow your hair! Sometimes getting a haircut is much like shopping—you regret it the moment you get home. That cute new bob JLaw was sporting sure looked bangin—just not on you as you may have unfortunately come to realize two hours too late. At least the store gives you seven days to exchange that dress with something that fits you better. Good luck getting the same privilege at the salon! But don’t be so sad. While your hair stylist probably can’t help you grow your hair back asap, there are shampoos for long hair that can! For your hair to reach your ideal length faster, you need a shampoo that’s specifically formulated to help your tresses become stronger as it grows, like Sunsilk Strong & Long Shampoo. While it’s not a miracle potion that grows your hair overnight, it does make your strands stronger and healthier so they don’t break off before they get too long. Hair typically grows only half an inch max, per month – and that’s if your hair is healthy. It could be less if your hair is not in the best condition, especially when it has a lot of split ends. Shampoo for long hair helps nourish your hair to keep it healthy and strong. The longer your hair is, the harder it is for the nutrients to reach the entirety of your strands. When your tresses are short of nutrients, they get weak and brittle, which in turn causes hair fall and breakage. A great shampoo for long hair deeply nourishes each strand, making it stronger as it grows so it doesn’t easily break and cause split ends (which may then require you to chop your hair off more often). Another reason why you should use shampoo for long hair if you want to grow out your hair is because they are specifically formulated with ingredients that stimulate hair growth. 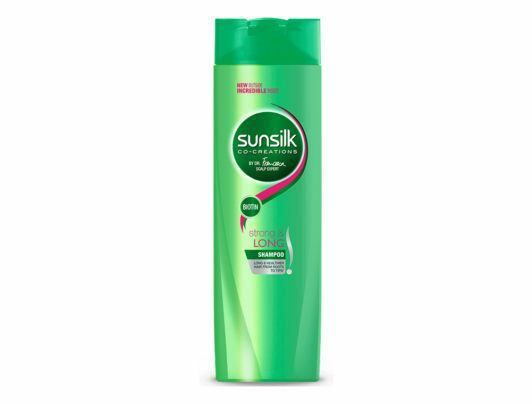 Sunsilk Strong & Long Shampoo, for example, has biotin, a nutrient that contributes to the production of healthy hair and encourages hair growth. As mentioned earlier, weak and brittle hair is one of the major reasons for hair loss. While there are specialized hair products for severe hair fall, shampoo for long hair should also contain ingredients that will strengthen hair strands. When your hair is strong, it will not easily break. One important thing to know is how to brush your hair the right way to prevent damage. 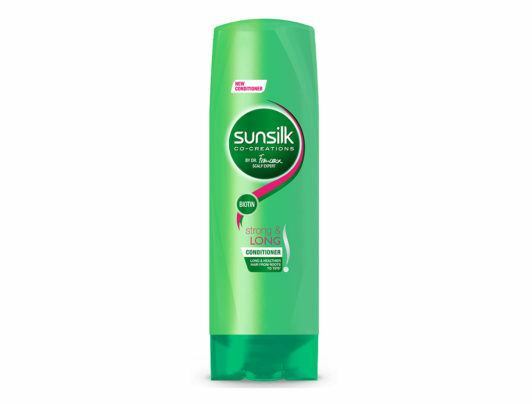 Editor’s tip: Pair your shampoo for long hair with Sunsilk Strong & Long Conditioner to get optimal results. It will help nourish and smoothen your hair. Heat styling is not the only factor that can damage your hair. When you have long tresses, it is great to try different hairstyles like braids, messy bun or curls. Keep in mind that weak hair would not be able to withstand all those pulling and tugging while styling, you need a shampoo that prepares your hair for all that stress. A ‘do that spells boho chic, the side braid is an easy and versatile hair style. See the set by step guide here. Silky straight hair is an all-time favorite for long hair. Get the guide on how to master using a flat iron for straight hair. The halo braid is a nice variation of braids that you can try, a perfect match for the angel in you! Get the easy to follow guide here. Go retro with a modern vibe with this beehive. Follow the step-by-step guide here. Next read: A great shampoo for long hair is a must, specially when the weather is not cooperating. Stormy season also takes a toll on your hair. Check out rainy day hairstyles for long hair to help you stay fashionable despite the weather.